At Smile Worx Orthodontics, we strive to provide expert orthodontic care in a friendly, welcoming environment. Our skilled orthodontists Dr. Jonelle Crichton and Dr. Gail Burke work hard to get to know every patient on an individual level and make every visit to our Edmonton and Leduc offices a pleasant one. We utilize the latest treatment methods and orthodontic devices. One of the most common devices we use when treating children, aside from braces, is a palatal expander. One of the reasons we utilize interceptive orthodontics (also known as early orthodontic treatment) is to take advantage of natural childhood growth spurts. Because a child’s mouth is still growing, your orthodontist can make changes to the teeth and jaws without performing extreme or invasive procedures. Additionally, your orthodontist can treat problems before they develop in severity, thus setting the stage for a lifetime of healthy smiles. A palatal expander often plays a large role in this. 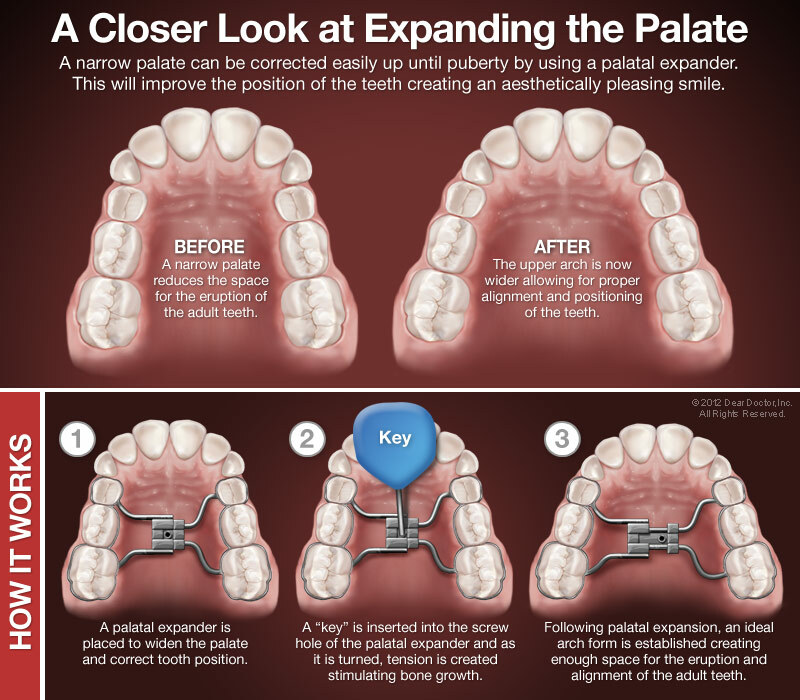 A palatal expander is a device that literally creates more room in the smile for teeth by expanding the hard palate and widening the upper jaw. This may sound extreme, but in reality it's a gentle, painless process. As solid as it might seem, the upper jaw actually develops as two halves that don't fuse together until puberty. 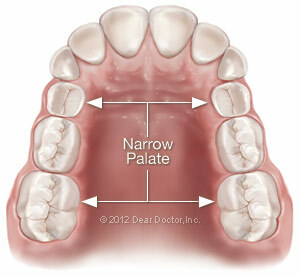 This means that during childhood your orthodontist can literally push the halves apart, creating more space between the bones and more room in the smile for teeth to grow. Crossbite: This occurs when the upper jaw is too narrow and sits inside the lower jaw when the mouth is closed. 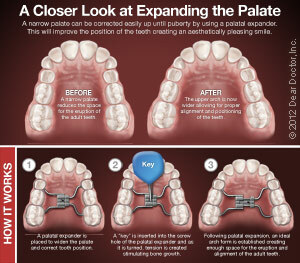 A palatal expander widens the upper jaw, treating crossbite and preventing future problems. Crowding: For some children there isn't enough room in the dental arch to accommodate all the teeth. Palatal expanders widen the upper arch, creating more room for teeth and resolving crowding issues without the need for tooth extraction. Impacted Teeth: If a tooth has yet to grow in and there isn't enough room for it to erupt properly it can sometimes become impacted—growing in at an angle instead of straight. Palatal expanders create enough room for the tooth to erupt normally, preventing impaction and safeguarding a healthy smile. Aesthetic Issues: In some cases a palatal expander can help provide a more balanced, aesthetically pleasing facial profile. Breathing Problems: Palatal expanders help the teeth and jaws fit together correctly, which can prevent mouth breathing issues. Palatal expanders have two halves that are connected in the middle with a screw. To activate the device, you simply turn the screw a very small amount each day with a special key. This induces tension at the junction of the two palatal bones, causing them to gradually move apart. Once the desired expansion is achieved, your orthodontist will leave the appliance in for a few more months to allow new bone to form in the gap and stabilize the expansion. Generally expanders are worn for three – six months total. Some patients experience soreness for a few minutes after widening their palatal expanders, but this discomfort typically goes away quickly and is more comfortable than the process of tightening braces. When first getting a palatal expander patients might have some difficulty speaking or eating normally, but this is normal and fades within a few days. 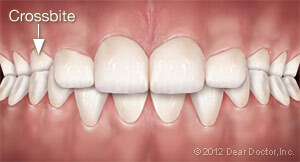 You may also see a gap develop between the front teeth, but this is just a sign that the device is working. When the permanent teeth come in they'll have ample room to grow in straight, healthy, and gap-free. If you have questions about palatal expansion or want to find out if orthodontic treatment is right for you or your child, we're here to help. Contact us directly at our Edmonton or Leduc office. We can't wait to hear from you, and we're excited to see you soon!